Summer is back! Its time to sport your favorite dresses, colorful shorts and more. But it is also the season where our skin faces the maximum issues, thanks to the harsh sun rays and excessive humidity (or dry heat in some regions). Taking care of your skin is extremely important. 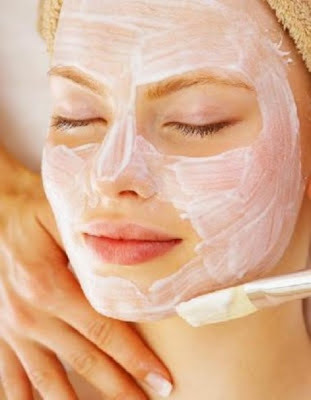 Seasonal changes take a toll on your skin and it is necessary that you take care of your face and body, especially during Summer, when keeping your skin hydrated is essential. Hydrating face masks are your best bet this season. It helps in replenishing the skin's moisture level. I love making natural face masks at home rather than opting for a chemically treated one. Natural ingredients work best during this season, especially home made fruit or herbal masks. Due to the heat and dust all around, your skin tends to suffer from rashes, boils and worst, tanning. Here are a few tips you can follow along with a mini recipe of a Summer pack which refreshes and cools your skin. - Use a good sunscreen, but please remember, that you must re-apply the moisturizer or lotion in every 5-6 hours, depending on the number of hours spent under the sun. Invest in a good SPF moisturizer/lotion that suits your skin type. Also, look out for a good lip balm with SPF. Why should your lips alone suffer? - If you sweat a lot, rub an ice cube on your face before applying the moisturizer. It helps keep your skin cool. I do that often (except when I have a cold). You can also opt for a face spritzer, fill it with ice cold water/rose water and carry it in your bag. Spray it before applying your moisturizer and re-spray whenever required. - Umbrellas, Hats, Shades; they are all a must have in your handbag. - Eat healthy food items. Avoid junk food (especially fried, spicy and sour items). What you eat shows on your face. Include green leafy veggies, fruits and don't forget to drink lots of water. It helps in flushing out your toxins. Procedure - Add grated watermelon and cucumber to the oatmeal and mix all the ingredients. Apply the thick paste on your face and keep it for 10 minutes. Rinse off with water after that. This works as a wonderful coolant. Note: Results may vary based on skin type. Ensure you get a patch test done before trying the mask. great post!! We do ignore our skin most of the times. Thanks Neha! Hope the post helped. Nice tips and cool post ! !